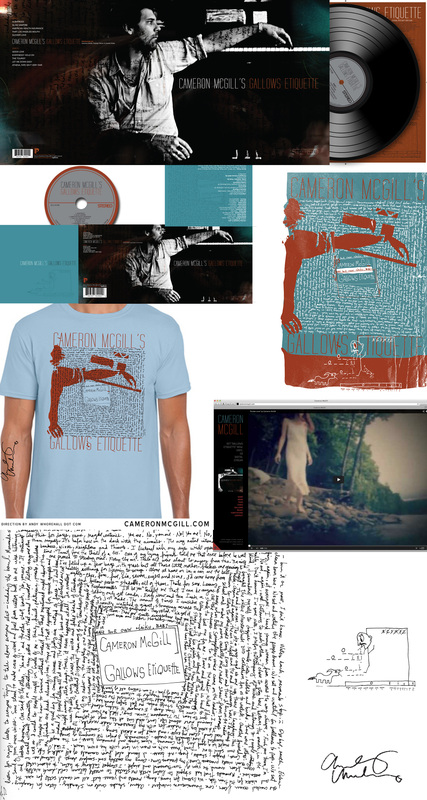 Creative direction and branding development of print, web and merch items for Cameron McGill’s 2013 full-length release “Gallows Etiquette“. Available on vinyl, cd, and digital > Click here to visit cameronmcgill.com. Photo of Cameron by Jonas Mason with additional film photographic elements by Dave DeCastris. Illustration and design by Dave DeCastris. Screen print poster and illustration with story by Dave DeCastris. Screen printing services provided by Javier Jiminez.